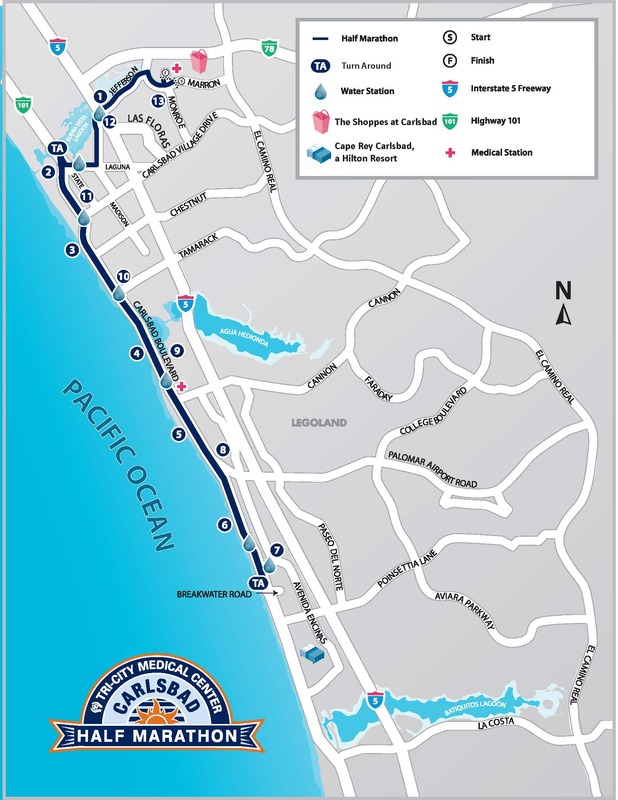 The half marathon course is gently rolling with over 8 miles of it along the beautiful Pacific Ocean. It stats at the same location as the marathon; however, the races have different start times. 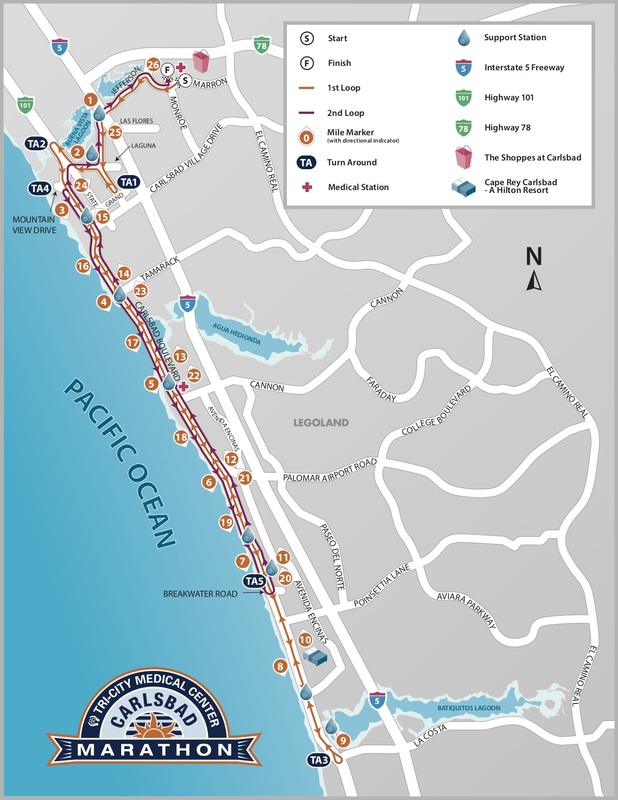 After the starter’s gun goes off, half marathoners will pass the Buena Vista Lagoon as they head out to Carlsbad Boulevard (Highway 101) and along the ocean to the turnaround point at Breakwater Road and back to the finish line. The out-and-back course is gently rolling, with no major elevation changes and enjoys almost 8 miles of unobstructed ocean views. Run this course and you will see why some of the fastest half marathon times in the U.S. are run here. 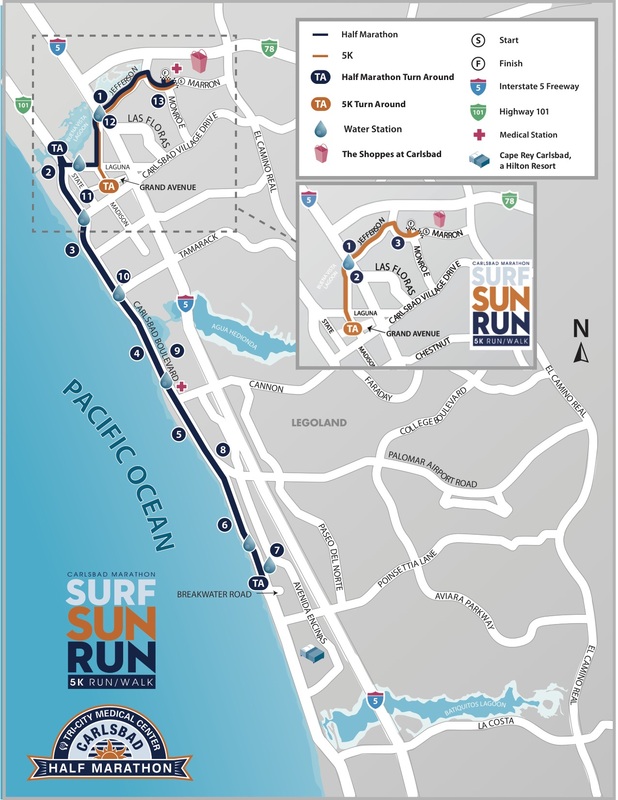 The Surf Sun Run 5K features an out and back course that passes by the beautiful Buena Vista Lagoon and starts and finishes at The Shoppes at Carlsbad, the same location as the Carlsbad full and half marathon. Take a 13.1-mile tour of San Diego on foot! T Finest City Half Marathon is run on a fast, scenic, point-to-point course.